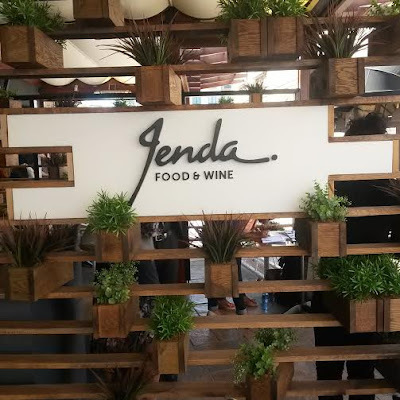 I recently paid Jenda in Monte Casino a visit. 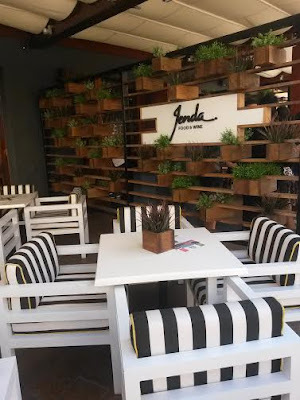 My friend Bianca from Hello Joburg took me along and we had a wonderful day at this lovely new restaurant. 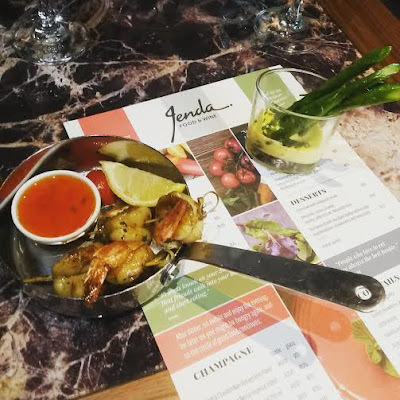 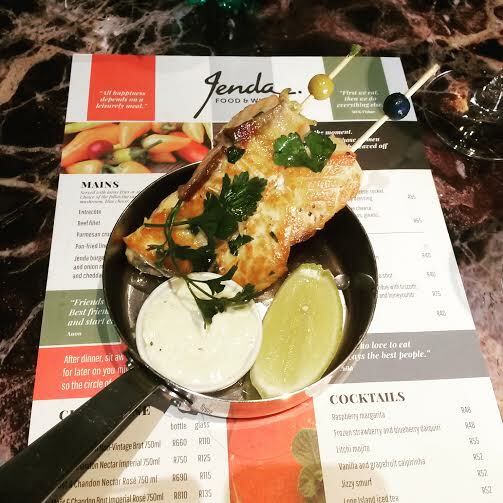 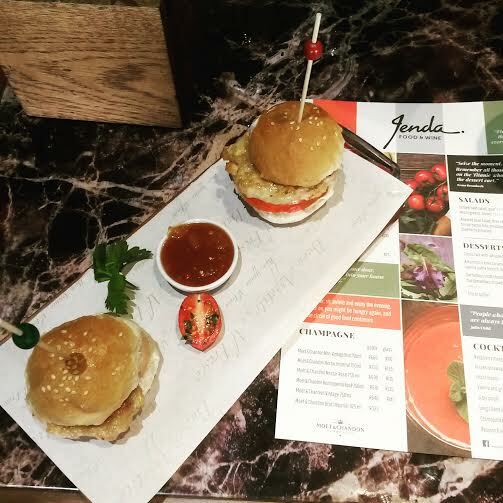 Jenda, in short is the perfect pre show tapas restaurant and bar. 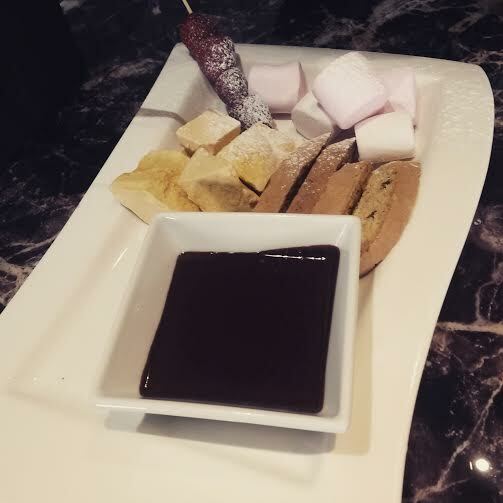 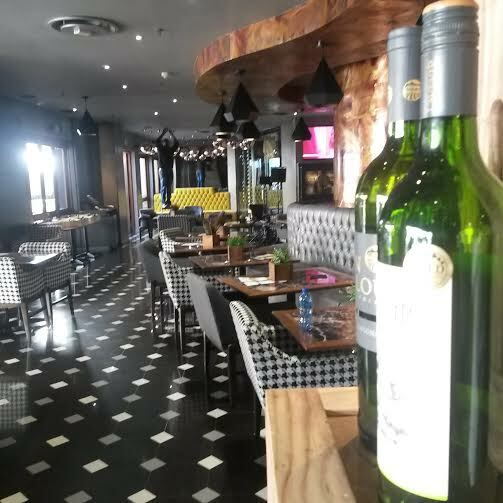 It's tapas menu and extensive wine list are just what you need for a quick stop and catch up with friends. 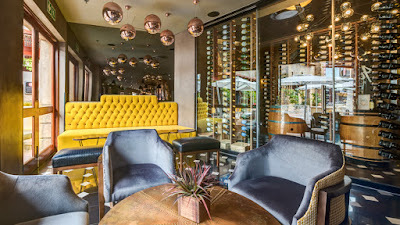 The inside decor oozes modern chic whilst the outside seating area is more casual. 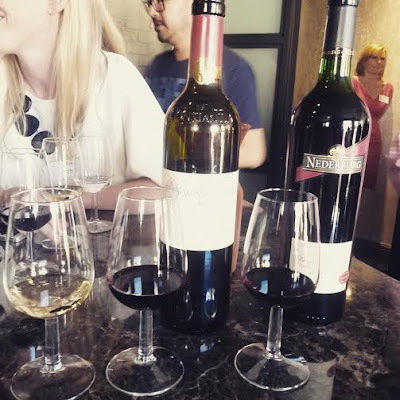 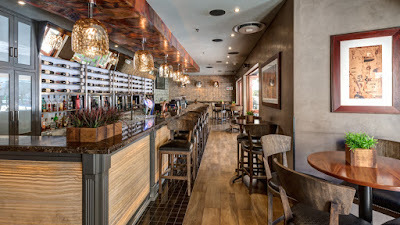 In the upstairs section you are surrounded by wine and have a wonderful view of the Monte Casino Piazza. This would also be an ideal spot to take out clients and discuss work over a few glasses of wine. 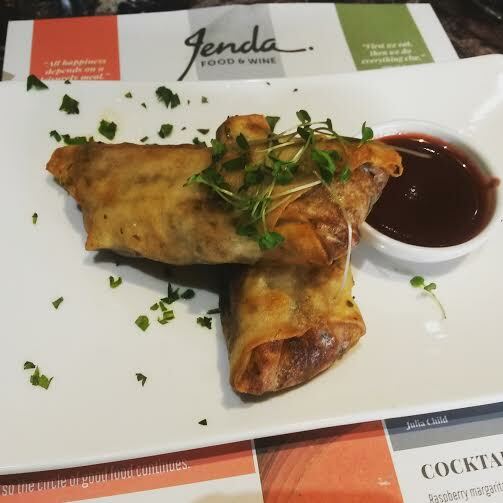 The food is tasty but the menu isn't overly exciting. 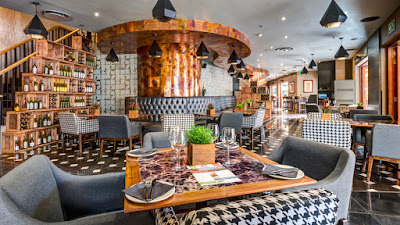 It definitely lends itself more as a place where you just want a quick bite to eat as opposed to an impressive sit down dinner.